Spring training is quickly coming to a close as the Giants whittle down their roster to 25-men before opening day on March 28th. Players continue to battle for roster spots at basically every position, but the outfield remains the biggest question mark. The Giants are likely going into the 2019 season with three outfield starters that don’t exactly jump off the page. Mac Williamson, Steven Duggar, and Gerardo Parra are the three favorites to start on opening day. 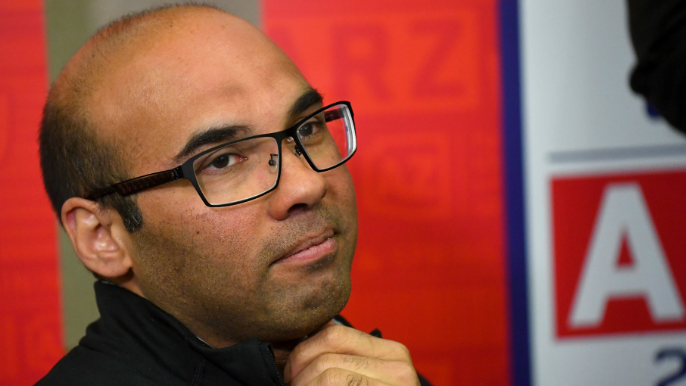 Giants President of Baseball Operations, Farhan Zaidi joined Marty Lurie Sunday afternoon to discuss a myriad of topics, including how he projects the outfield situation to shake out. The team has been thought to be in the market for another outfielder all offseason, with the most likely scenario an acquisition via trade. Zaidi discussed how that is still a possibility and when a potential move like that could be made. Zaidi has been patient all offseason when it comes to making moves, and that might still be the case, even if it’s just days before the season begins. Aside from potentially adding another outfielder, the Giants might be in the market to trade out of their current bullpen surplus. Throughout the final week of spring training, the Giants are expected to make those tough decisions, as they will impact nearly every part of the roster. Luckily, the team has established much better depth in the rotation and bullpen, which can allow them to be flexible with constructing a roster to begin the season. It remains unclear what the final roster will look like, but a few moves over the course of the next week remain a distinct possibility.